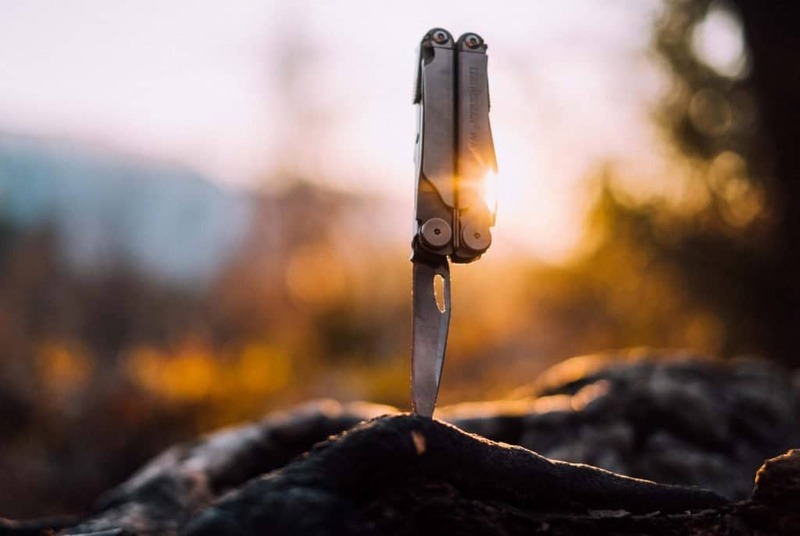 The Leatherman brand is synonymous with quality multi-tools and knives, so much so that many people refer to multi-tools as a whole as Leathermans. 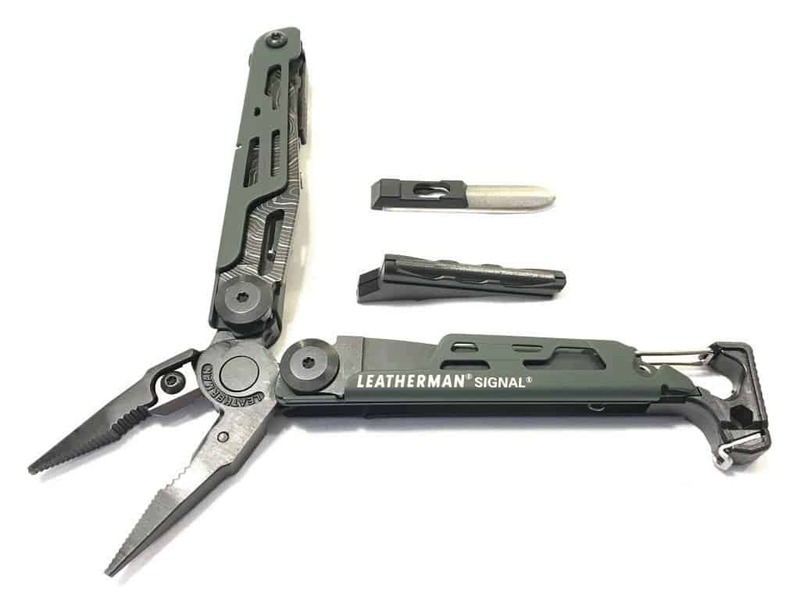 Leatherman Tool Group was founded in 1983 by Timothy S. Leatherman, a mechanical engineer that was striving to create something along the lines of a “Boy Scout knife with pliers”. Although Swiss Army Knives were around at this point, it seemed like most of the multi-tools currently available were lacking versatility. Swiss Army Knives are a common tool of outdoor enthusiasts, and though they certainly are a useful piece of gear to have, a Leatherman can perform all the same functions and more. When it comes to camping, there are a number of ways a Leatherman can be used. Hammering tent stakes into the ground. Holding and moving hot pans or cups while cooking. Opening food cans and non-twist bottles. Repairing a car, bike, motorcycle, etc when in the backcountry. 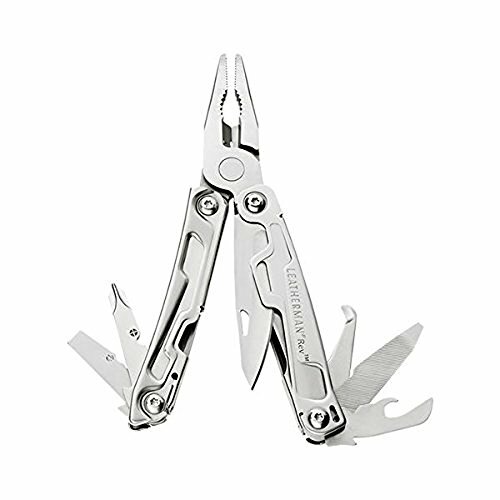 The main difference between a Leatherman and a different multi-tool, like a Swiss Army Knife, is that it’s stronger and has pliers. Although different models of Leathermans will have different individual tools, for the most part any one of their models will be able to perform very well for an outdoor enthusiast. That being said, Leatherman has a wide range of different multi-tools and it can be a bit tricky to determine which ones are better than others. For those that often spend time outdoors, here are the top four models that you should consider first. 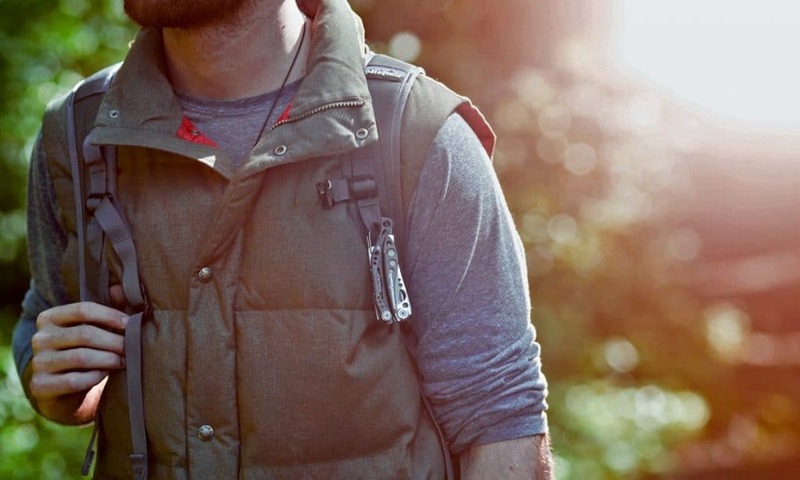 The Leatherman Signal Topo is a very attractive multi-tool with a tactical look to it. This model features an olive green drab and black color scheme. The “Topo” in its name alludes to the interesting design on the knife’s blade, which looks like the lines on a topo map and similar to a Damascus blade. Straight blade with small serrated section. The Signal Topo is made entirely of stainless steel that has been heat-treated to further harden it. The topo etching design on that blade is lasered on and won’t fade. This model also comes with a diamond blade sharpener to allow the easier to maintain both the straight and serrated blades on this tool. The total length of the Signal Topo (closed) is 4.5″. The blade and wood saw are an additional 2.7″ long. This model weighs 7.5 ounces, which is a bit heavier than typical Leatherman multi-tools. This can be a benefit however, especially when it comes to heavy use, pounding stakes, cutting wood, and other strenuous tasks. Brand new the Signal Topo retails for $110, though it can be found on sale for 20% on some websites, like REI. The Leatherman Rebar has a rugged, utilitarian appearance and was designed by Leatherman to replicate their original Personal Survival Tool. 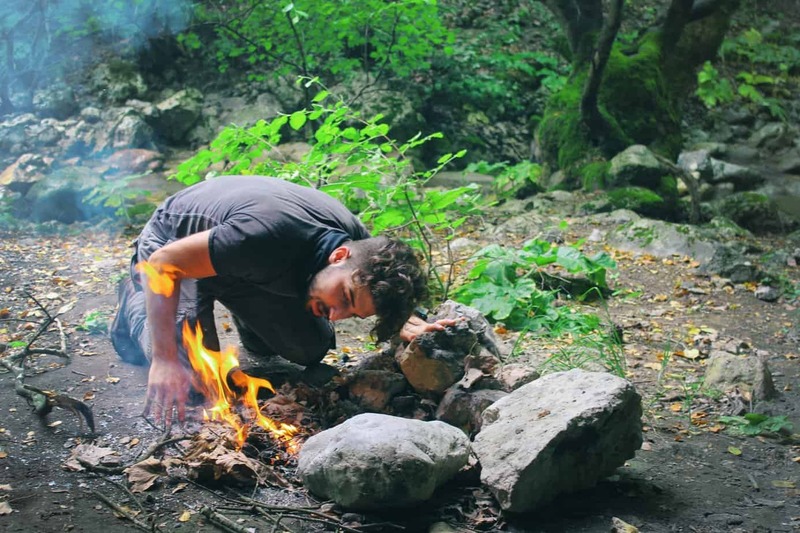 Considered a multisport multi-tool rather than one purely for camping or survival, the Rebar is an excellent choice for campers or outdoorsmen that mix recreation with work. As you can tell based on what tools are on the Rebar, this Leatherman is ideal for camping as well as construction work, remodeling, and general outdoor activities. The total closed length of this model is 4″ with maximum blade length of 2.9″. The knife blades are made of 420 high carbon steel while the Rebar body and additional tools are all stainless steel. This model will appeal to those handyman types that often find themselves needing tools handy. While many Leathermans only contain one screwdriver, the Rebar has large and small screwdriver heads as well as a #1 and #2 Phillips screwdriver. The file can be used for wood or metal and when the Rebar is opened the inside of the handle has an 8″ ruler. The Leatherman Rebar retails for $69.95 which is a great price-point for campers. If you want a multi-tool for general use as well as camping, you can’t for wrong with the Rebar. Let’s say you want a lightweight tool that performs the bare basics expected of a Leatherman. The Skeletool CX model is going to be right up your alley. This intriguing designed model looks quite different than typical Leathermans. It has a futuristic design with a cut-out handle designed, reminiscent of a skeleton. This design isn’t just for looks however, it also helps cut make this model very lightweight compared to its size. 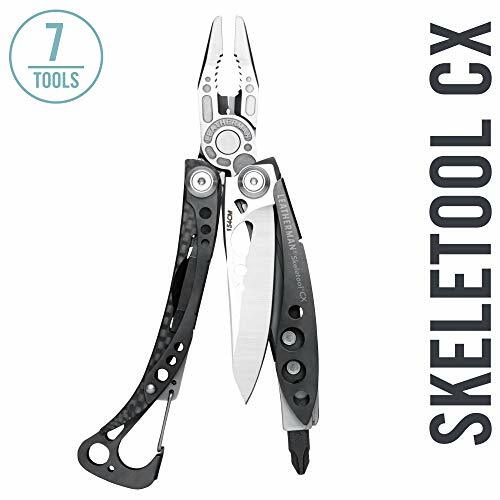 Although the Skeletool CX isn’t as feature-rich as some of the other models above, it still has plenty of different uses. In addition to the tool itself you’ll also get four different bits, including a Phillips #1 and #2 and 3/16″ and ¼” flatheads. All the other features are more than enough for the average camper or backpacker. The body of the Skeletool CX is stainless steel with a special Tungsten/carbon fiber coating. The sculpted shape of this model makes it ergonomic to hold and quite comfortable to use. Finally, the carabiner clip on the end makes it easy to attach the tool to a belt loop or a backpack. The Skeletool CX weighs just 5 ounces and is 4″ long closed (2.6″ blade). You’ll find that this model typically retails for $79.95 new. Last but not least, if you want to stay under $35 and you want a more compact tool for carrying in your backpack, the Leatherman Rev will be a handy addition to your load out. Although it’s smaller than other models, the Rev still packs in everything you’ll need for the trail. Both the blade and the body of the Rev is made of 420HC stainless steel, making it durable and strong enough to handle whatever you care to throw its way. The Rev is also quite versatile and will be just as handy outside as it will be around your home or workplace. The Rev weighs 5.9 ounces and measured 3.8″ closed, with a 2.6″ blade. 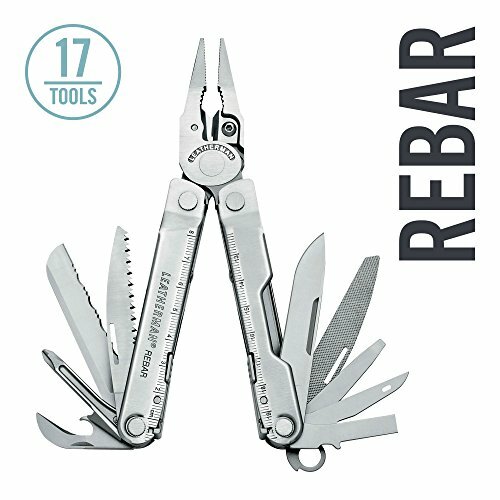 For being priced at $34.95, you can’t beat this model for those new to Leathermans or multi-tools in general. Leathermans are a highly recommended tool for anyone that spends time outdoors camping, backpacking, hunting, fishing, etc. With many being priced under $100 and some very useful models being priced under $40, this tool is very affordable and an excellent investment. 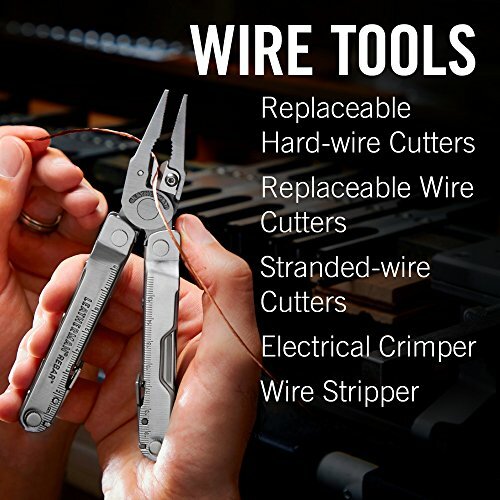 You can find Leatherman tools, including the ones listed here, readily available online and in sporting goods or outdoor supply stores.